Just when you thought you'd forgotten! Keiji Inafune and his studio - Comcept - showed at this E3 that they've been quite busy as of late. With development of Mega Ma-, er, Mighty No. 9 wrapping up, it was revealed that the studio's now working on a brand new game called ReCore for Xbox One, with Armature studios co-developing. ReCore will be a post-apocalyptic game that follows one of the last remaining humans as she explores the wasteland with a series of robot companions. 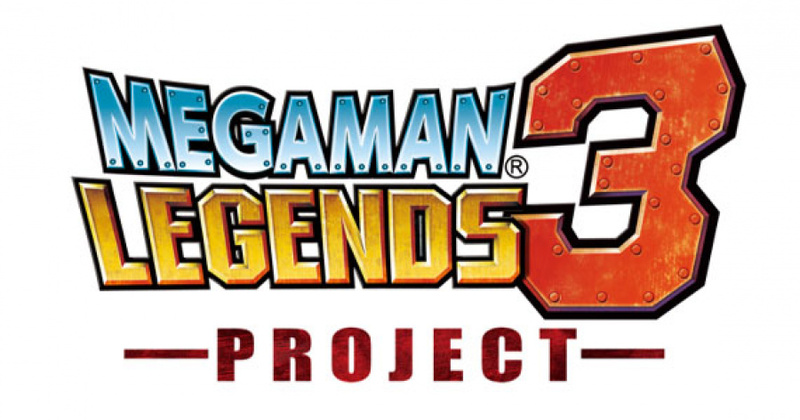 Though ReCore appears to be quite distinct from Inafune's past work, a question came up during an interview with Game Informer asking Inafune-san if any of the ideas from the now defunct Mega Man Legends 3 would be making an appearance in some form. Maybe not at the level of calling out specific gameplay features that would have gone into Legends 3. To be completely honest, if I had the chance, I would still say, "Yes, I want to still make that game." In that regard, there's something probably emotional or spiritual that I feel like on a very high level that I don't completely lose everything, all my ideas, that I had at that time. They may have been transferred or carried over or been reflected in some way, shape, or form in ReCore. That's something that is part of me, so it's going into ReCore. One thing that I feel is very different though is that if I went down the Legends 3 path and I was continuing on that path I feel like maybe it's a bit of more of a throwback to when it was made. Going back into time, but giving it a new skin and fresh look. With ReCore though, I'm not looking back. I'm looking into the future. I'm looking beyond what I can do today. This has given me the opportunity to retain some of what was in my soul, but then transfer that into a future outlook and direction. That's a big difference in the path that, to me, is different between those two titles. What do you think? Is there still hope for a revival or is it time they just let this project die? Share your thoughts in the comments below. I know this is (of course) unlikely, but I have this gut feeling that at the very end of the 3DS's life, that we might get Legends 3 on it in some form. @Gorlokk I think the project's well and truly dead, as much as it pains me to say it. Still, I love how just when it's getting to the point that it seems the game has become a thing of the past, something like this pops up to give fans a modicum of hope. In all seriousness though, how about you finish your current projects first Mr. Inafune ? Youre currently not really known to deliver but more famous for being a bag of hot air. Also, if that project had to be done by someone other then Capcom, hand it over to Platinum. They may not be known for any type of RPG / Dungeon Crawler / Adventure but they sure know how to pull off action games AND to save abandonned projects (MGS Rising Revengence). And honestly, id be glad if they would at least release the official story draft or something. If they dont want to make a game off of it, at least officially close the story. Or maybe make a Manga / Comic out of it. @Einherjar "And honestly, id be glad if they would at least release the official story draft or something. If they dont want to make a game off of it, at least officially close the story. Or maybe make a Manga / Comic out of it." Maybe that will be that new TV series for 2017? Probably not very likely, but who knows. I would like to play ReCore, but I don't have an Xbox One. Is it coming out for other systems? @Tsurii It would be interesting, but i hardly doubt that. Legends being somewhat of an RPG, writing this plot would take quite a lot of effort, something i dont expect from Capcom or their partners these days. The Legends Lore is one of the most complex in the MegaMan frenchise. My best guess for the upcomming cartoon ? BluRay releases of the ruby spears one. As remastered editions...."Oh, the "new" cartoon thing was a mistranslation, we never said that, im honest". Something like that. You'd think with Bloodstained, Shenmue 3, and Yooka Laylee's success, Capcom would just revive the project already. Especially since they have Mighty No. 9 as a reference for how successful an actual Megaman kickstarter would be. There's obviously lots of money in this type of thing... I just don't get it. Why can he not just let it stay dead, this all happened like 4 years ago now it ain't going to happen. @Wilford111 sadly, it's an XBox One exclusive. I don't think it's a good fit. It's not enough to sell systems in Japan where the console and the brand is flailing, and neither is it likely to do very well in the west, as a new IP that isn't a shooter or Assasain's Creed title. Don't get me wrong though, ReCore looks fab and I will be keeping an eye on how it shapes up. @BLPs Yeah, they too have a really bad habbit about that. And just wait for it, FF7 will take so long, it will be renamed to "Final Fantasy XVI - Final Fantasy VII-2 Remastered Edition EX Plus Alpha Arcade"
And the worst thing about all that....their games arent even that good. Since FF XII, shich is already debatable, everything theyve put out was a stinker. Ill stick with their classics and dont really care about any new FF games. XIII turned me off from the series, XVs demo sealed the deal with its non existant battle system. I don't care in what form it is, I'd still 100% want this game one way or another. Oh come on, Inafune, shut up already! You said pretty much the same thing last year already. Just stop pointlessly raising peoples' hopes unless you have something to confirm about MegaMan, okay? Things that will never happen: this. That said, I'm greatly looking forward to ReCore. I pretty much feel like Mighty No. 9 is just a shill game. Something to get Comcept running with public funding and support, given the public thirst for Mega Man. He's talked a while about wanting to make another big AAA game, and it looks ReCore is just that given that Microsoft Studios seems to be the publisher. Whereas MN9 is perhaps a cash grab, hopefully ReCore is actually the Inafune auteur piece I've been waiting on. Granted, I'm still a little bit jaded with how MN9's development process has gone and the way public light has shifted on Inafune (look at Kamiya's comments). I'm still willing to give him more chances. Maybe he is a businessman, but there's still an artist somewhere in there. This man directed my all-time favorite game. @BLPs I havent checked the demo since the patch. Honestly, for it to become a competent game, it need more then a patch, it needs a new game. I mean come on...hold one button to become invincible and another to continuously attack ? What is this, a mobile game ? And yes, THAT took 9 years. 9 years of work for a game, that plays itself even more then FF XIII does. @KillScottKill For a shill project, it sure did its best to attract a LOT of bachlash. Ive seen and talked to more people turned off by Mighty No.9 then the opposite. The mediocre looking game itself, the cartoon shenanigans, e-begging, the PR catastrophy with their community manager. They pretty much messed up everything they could. @BLPs Well, after playing that demo blind (literally blind, long story) you better be prepared for a huge chunk of luke warm disappointment. If you want an RPG with huge, open fields, go with both Xenoblades. Because thats what this games trying to be, expect without any combat system. ...was he actually saying he wanted to finish Legends 3? The pragraph felt a bit... jumbled. Isn't FF VX coming this or the next year? They said they weren't start KH3 until it was near completion. Although, I'm surprised no one has made a "Final Fantasy Forever" joke. After E3 I believe in Megaman again! C'mon Last Guardian, Shenmue III and FF7Remake, and even Kingdom Hearts and Starfox too. Capcom should team up with a major publisher (like Sega is teaming up with Sony to release Shenmue 3) and make this happen! That would be great. "ReCore" is one of the reasons I'm starting to take the XBO more seriously. Awesome, now just put some senses back to Capcom and let it roll. Kickstarter it if you will. Mega Man Legends 3 was the reason I bought a 3DS in the first place so I hope this happens soon. Me no likie these speculation articles. When someone says something like, "I'd be open to it," it means that they still have to plan/coordinate and then develop the game. So basically, it probably won't happen or if it does, it'll be out in 2019. I'll just pretend I didn't read this article. What game did Capcom release in Japan on 3DS that was basically Legends 3 with a new coat of paint? Mighty No.9 Legends 3, make it happen. Why not do a kick started funding? You just know it would be funded within a week. @MikeW Sega has absolutely nothing to do with Shenmue III. Go to Kickstarter, Mr. Inafune. Then go to sleep, wake up, and see the $$$. Then make Mega Man Legends 3. Capcom is too proud to allow Inafune to collab for MML3, even if it was just for that one game. In the meantime, sad as it is, I will remember the good ol' days of MegaMan, and look forward to Inafune's future works with much anticipation. Sometimes the spirit of something living on is more than enough life for the future... you will not be forgotten MegaMan.